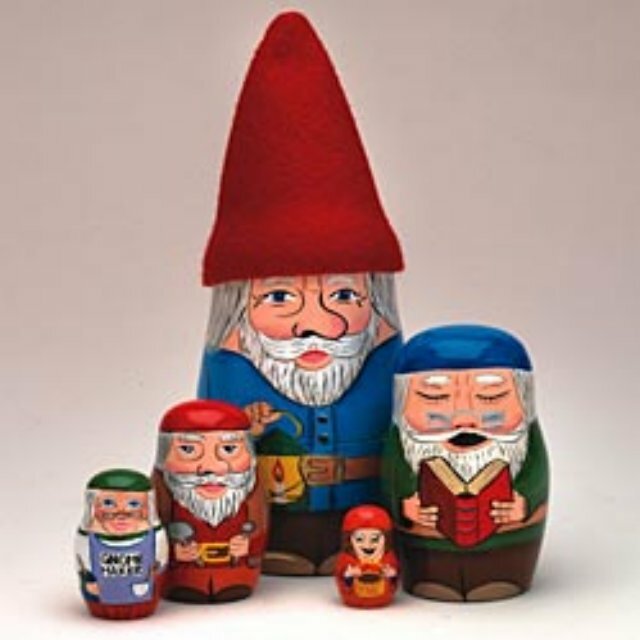 Create your own fantasy land with our set of five collectible wooden nesting gnomes. Each is hand painting with charming detail; from smallest baby to largest grandpa they will capture your heart. The largest 5” tall even sports a real removable 3¾” felt hat.